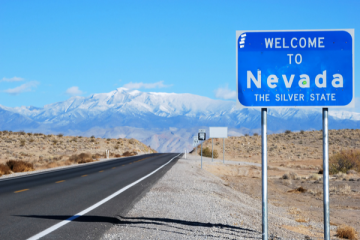 TransPerfect wasted no time in moving its corporate domicile from Delaware to Nevada once the deadline for Co-founder Liz Elting to file an appeal with the U.S. Supreme Court passed on August 1, 2018, without incident. The move puts closure and distance between the world’s largest language service provider (LSP) and the Delaware Court of Chancery, which had appointed Custodian Robert Pincus to auction the company. TransPerfect Co-founder Phil Shawe eventually won the competitive auction process and completed the buyout in May 2018, enabling the company to restart acquisitions and relocate to Nevada. For four years beginning 2014, the legal battles for control of TransPerfect were amongst the most acrimonious seen in American corporate history. While Shawe declined to comment on the legal and custodian costs for this story, Crain’s reported that USD 250m in legal fees were spent by all parties on at least 20 lawsuits involving 30 law firms. The Court of Chancery in Delaware, where TransPerfect was domiciled, would take center stage in these battles. In June 2016, it ruled that the company would be sold in an auction in which Shawe would be forced to participate while he contested its legality at the same time. The auction began with 97 potential participants, ran four bidding rounds and ended with Shawe securing the bid for USD 770m in a neck-and-neck finish with H.I.G. Capital, the private equity owner of Lionbridge. Shawe purchased all of Elting’s shares for USD 385m in cash, yielding her about USD 287m in after-tax net proceeds. “TransPerfect and I used Owl Rock’s debt financing to buy out my former partner,” Shawe confirmed to Slator for this story. He declined to provide the type and amount of debt raised. With the purchase approved by the Delaware Supreme Court and completed in May 2018, Liz Elting had until August 1, 2018 to file an appeal with the United States Supreme Court. The deadline passed and TransPerfect wasted no time moving its corporate domicile to Nevada. Shawe confirmed to Slator that “as of August 6th, our parent company, TransPerfect Global, Inc. and all seven of its operating subsidiaries which were domiciled in Delaware, have moved to Nevada.” The move has been called “Dexit” by insiders. TransPerfect has emerged as a formidable player in the language industry, with revenues up 12% to USD 615m in 2017. Even more remarkably, the company managed to organically grow revenue by nearly 20% to USD 337m in the first half of 2018. 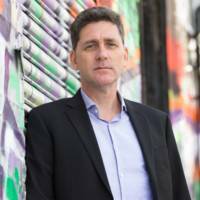 Less certain is whether TransPerfect will go public and use its shares as a source of capital in acquisitions as RWS, Keywords Studios and SDL have done.